The circulatory system delivers vital oxygen our cells need to survive. The heart pumps blood through a network of arteries, veins and capillaries. If it fails, it deprives our cells of oxygen, and our immune system suffers since lymph nodes cannot dispel waste products. While diet and exercise are important factors in maintaining a healthy heart and circulatory system, genetics may override our good efforts, causing heart problems, poor circulation, high blood pressure and cholesterol, leading to damaged tissues deprived of oxygen. 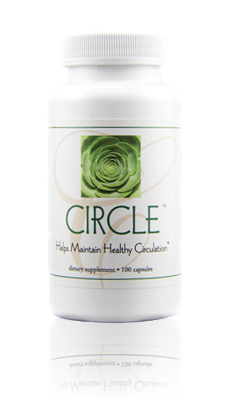 Circle is a balanced combination of traditional herbs used to help maintain healthy circulation. Circle combines both heating and cooling aromatic herbs to help achieve proper balance between overactive and underactive functions that affect the circulatory system. It addresses blood viscosity and lipid composition, liver metabolism and blood pressure, which are important in maintaining healthy circulation. 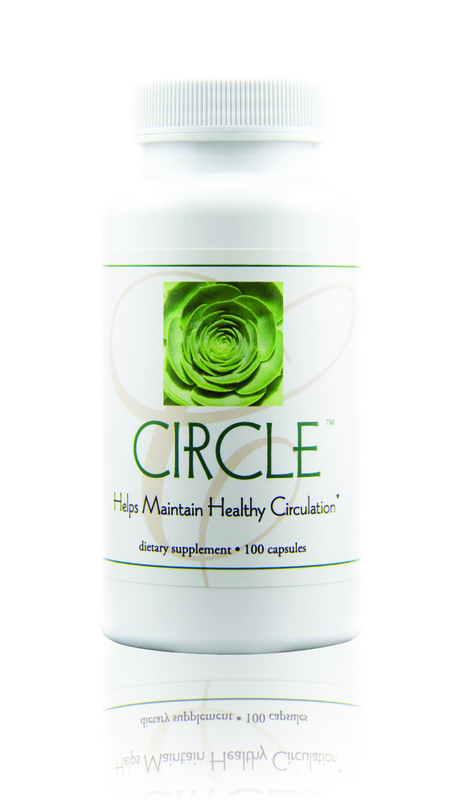 Circle helps improve circulatory health in those with poor circulation, and provides antioxidants and fatty acids to maintain long-term improved circulation. Whether you have a family history of cardiovascular challenges, have led a sedentary lifestyle or have always had a healthy heart, Circle is a safe and effective way to help ensure circulatory system health at any age. Those who face circulatory problems have many options today for improving their conditions. However, researchers have found that everyone responds differently to these options and some may try several different approaches before finding one that is safe and effective. Based on the principles of Nutritional Immunology, Circle supports the entire circulatory system for long-term maintenance of healthy circulation.